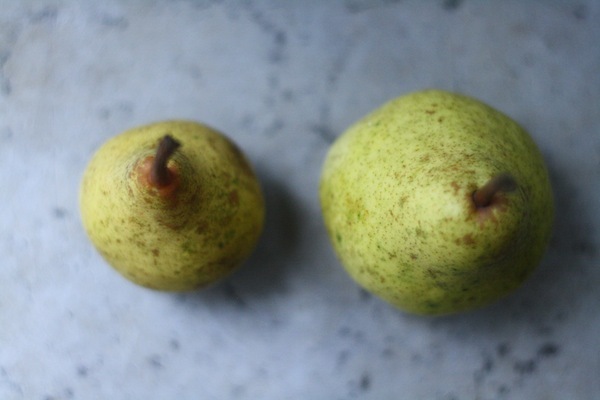 Two pears. One Sally size, one mama size. Thank you for this fruit, and for September. A happy Labor Day to you, my friends. We did it! Yes, we did it, another summer come and gone.